Get rid of headaches and enjoy more time to do the things you love. Have you tried all the diets and still hang on to those extra pounds? Do you have insatiable sugar cravings? The magic diet or fitness routine to feel and look great. The morning you step on the scale and it shows that magic “perfect” number. Bored with your weight, tired of living on the hamster wheel of dieting? Bored with diet foods, and just want to eat a delicious meal? Bored with your clothes, standing in front of the closet not knowing or caring what to wear? Cleansing your body at least 4 times a year supports a healthy body for a lifetime! Translation? I know there’s no one magic diet or cure for anyone. Instead, I’m here to help you learn what foods fuel YOUR unique body, as well as the exercise routines, health, and de-stressing strategies that work for your life & schedule. I have a simple, step by step program you can start Right Now! I’m Peggy Ennenga, proud graduate of the Institute for Integrative Nutrition. I am a wellness coach, mom on a mission, health warrior and a yoga lover. Healthy living has always been a priority for me. It is more than a passion. It is my life. I incorporate healthy living into my family’s life. WE have fun with food in the kitchen, at the grill, traveling and eating out. I knew I needed to take my love for health and wellness to another level; I began by taking courses from Institute for Integrative Nutrition, eCornell University and UC San Francisco. I believe that our food and lifestyle choices have a direct impact on the quality of our lives. I have done what you are doing. I bought books, tried numerous eating plans and fitness routines. None of them worked long term. I was tired and frustrated with the results. What I discovered is what I teach you. That our bodies are ALL unique and we need to learn to make changes at every age of our lives to Feel Ageless & Be Ageless! So, what is this fall cleansing all about? This is a delicious adventure of discovery while releasing what’s no longer serving you. When you finally learn to let go of all the toxicity that is causing havoc in your life, you can access the incredible freedom of both body and mind. Besides, who doesn’t want to look and feel their greatest right now? The Fall Clean Eating Guide. 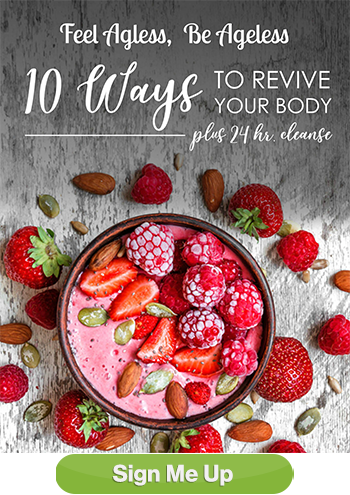 This 33 Pages, 6446 Word guide gives you the tools you need to detox and cleanse! We are diving deep into supporting the body and we’ve made this season also grain-free to fully support the body at the deepest level of cleansing possible. The guide breaks the entire process of cleansing down into bite-sized and digestible chunks. You will learn to cleanse inside and out, letting go of foods, habits, and emotional stressors. A VEGETARIAN OR OMNIVORE FALL CLEAN EATING RECIPE GUIDE, YES TWO RECIPE GUIDE TYPES – YOUR CHOICE! With 49 brand-new, seasonal, grain-free delicious recipes. The perfect resource for every day of the cleanse, with seasonal clean eating food options to give you the flexibility you need to stay on track and satiated. Suggested Meals & Shopping List for 14 Days: I will take the guesswork out of hectic things like groceries! No more anxiety! A 14-Day At A Glance of Suggested Meals – You will love the ease of seeing all 14 days of suggested meals clearly laid out, making it easy for you to use your meal suggestions and shopping lists. Just print it out! PLUS you get a BONUS 30-Minute Post-Detox Strategy Session with me when you sign up now. How is this any different than a fad diet? You want energy to play with your grandkids! Tactics for crowding out the bad stuff, so you can bring in yummy foods & healthy lifestyle habits to replace ‘em – no deprivation here! "I didn’t know losing weight could be so easy! I’ve lost 3 lbs in 7 days!" It’s time to get your energy, your body, and your life back eating whole foods. So take the first step. Start feeling your best today. Glow from the inside out.